The earth-moving Veyron supercar will soon make room in the Bugatti stable for a production version of the 600kW Galibier concept, if reports out of Europe this week are to be believed. Debuting at the 2009 Frankfurt Motor Show, the 16C Galibier is a luxury four-door coupe concept that draws power from a frount-mounted and twin-turbo version of the Veyron's quad-turbo 8.0 litre W16 engine. Full specifications for the Galibier have never been revealed, although the Veyron's seven-speed DSG transmission is believed to have been swapped out for an eight-speed automatic. According to financial paper Bloomberg, Bugatti and Bentley chief Wolfgang Duerheimer has persuaded his bosses at Volkswagen to approve a production schedule for the Galibier. The report adds credence to rumours last year that the Galibier would soon be approved for production, with leaked trademark application images at the time hinting at its final form. 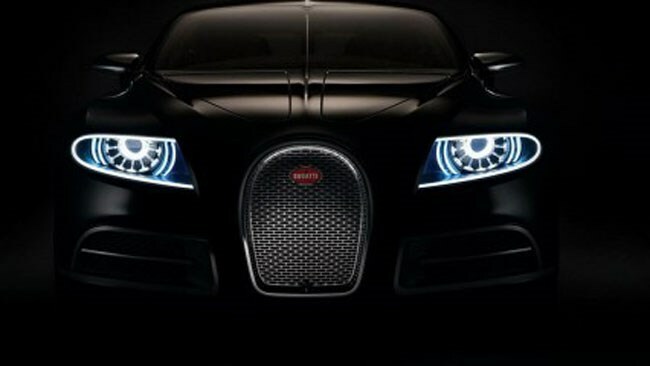 The big luxury coupe will reportedly be built at the company's Molsheim plant in France, where the Veyron is current built. As with earlier reports, deliveries of the Galibier are not expected to begin until 2013 or 2014, replacing the Veyron. A source within Volkswagen has reportedly confirmed that the big Bugatti will feature all-wheel drive, drawing power from the same twin-turbo W16 that drives the concept version. Volkswagen and Bugatti have yet to offer an official statement on the future of the Galibier, but reports claim that it will be priced at around 1 million euros (AU$1.37m) when it launches.